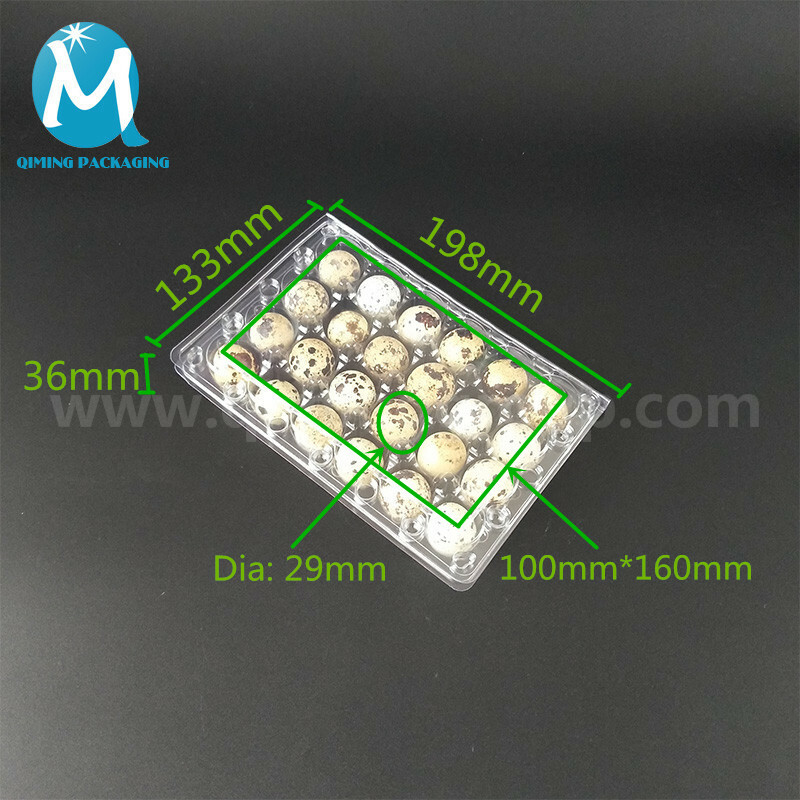 Plastic quail egg carton has complete sizes, the design of all parts can protect quail egg from being damage. 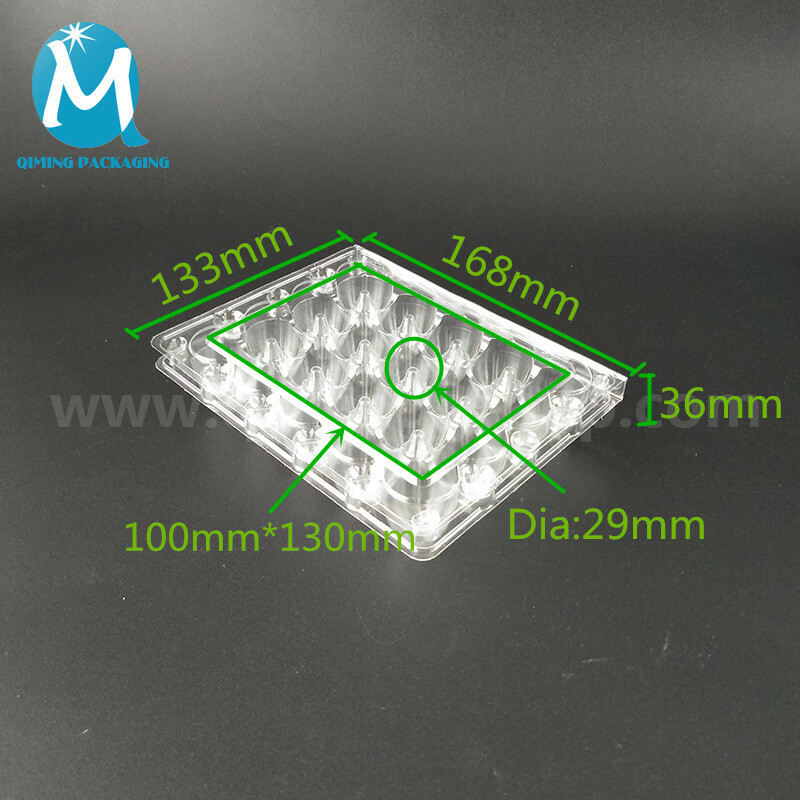 And we can provide custom service。Free samples are available for quality and size check.Please contact our support team to arrange them today! 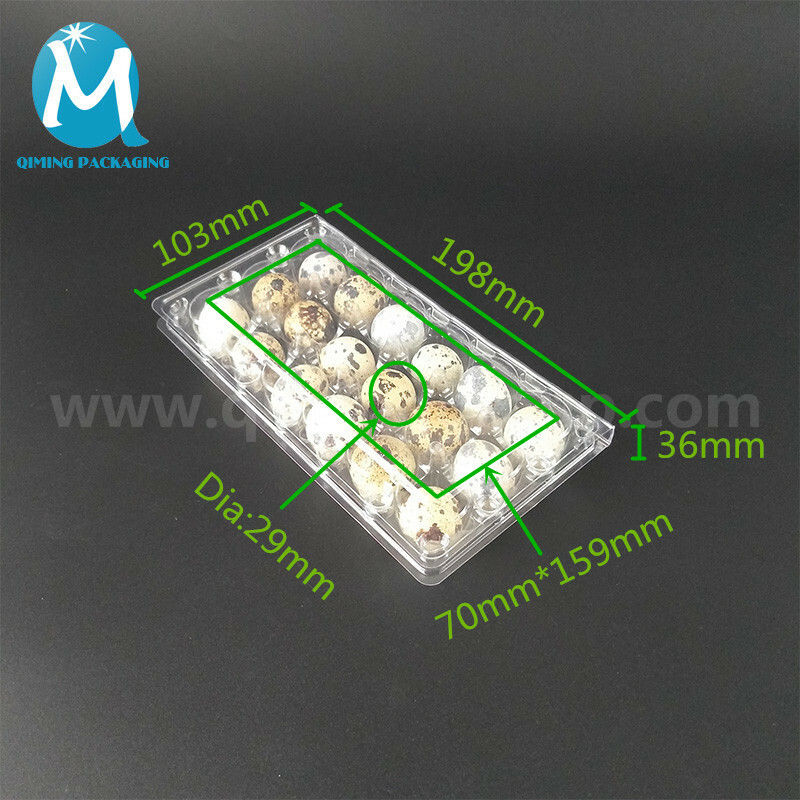 The edges of the PVC plastic quail egg trays are smooth, burr-free, comfortable and durable. Can be stacked, neat and beautiful, adopt square rectangle shape let them be more balanced, save space. The design of slot/groove prevents the qauil eggs from being damaged by collision and is easier to use and more stable. 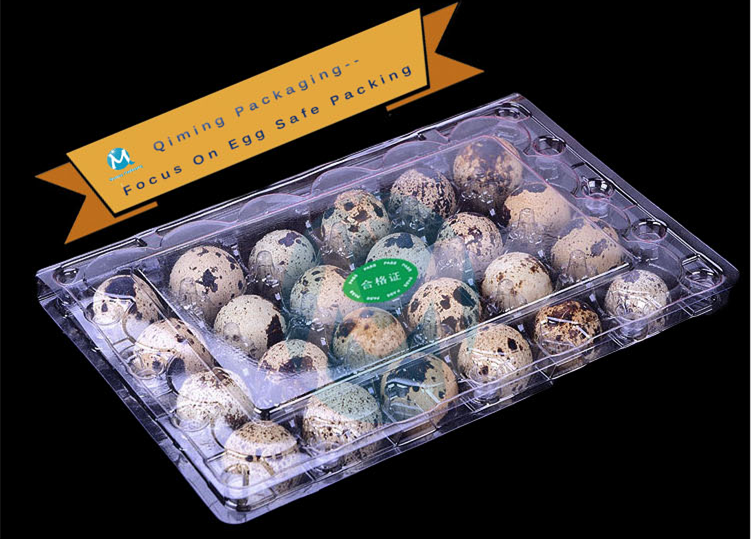 The side and bottom reinforcement design effectively cushioned the impact of quail eggs. 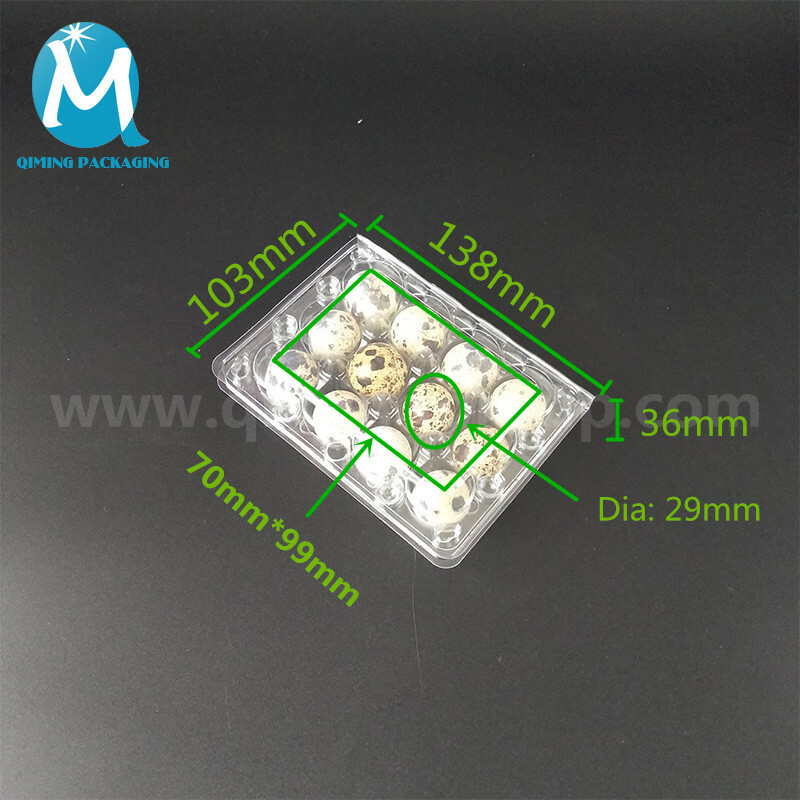 Adopt the convex design and it is convenient to open, save time and labor, as well as simple and convenient. 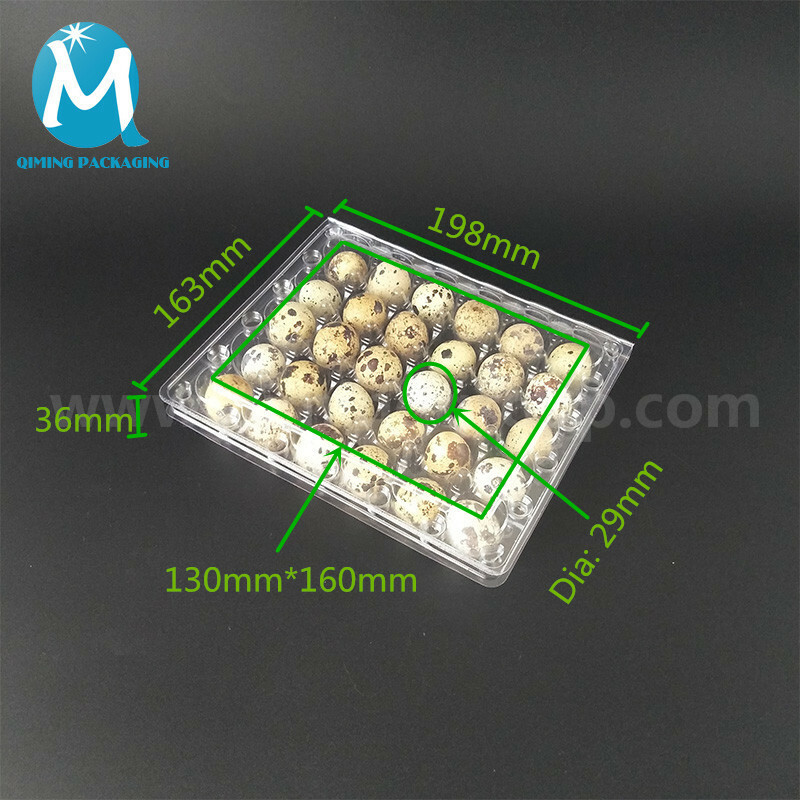 12/18/20/24/30 holes plastic quail egg trays are all available. Suitable for quail eggs daily turnover. 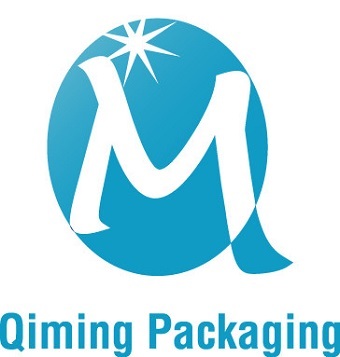 Food-grade PVC raw materials: non-toxic and tasteless, safe and environmentally friendly. Stackable design, saving room and easy to take away.